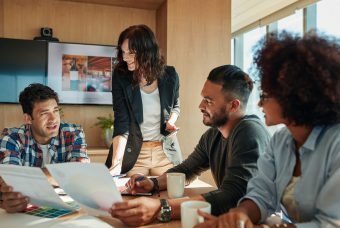 Corporate training expert Judith W. Umlas explains how to use Grateful Leadership and the power of acknowledgment to open up your heart and become a more effective leader. I want to tell you a powerful and poignant story. A woman in a Grateful Leadership session I led recounted the inconceivable tale of a senior leader who was given a company “script” to read when he had to tell all of his reports that there were going to be massive layoffs in the corporation and that their division would be deeply affected. When this leader got up to address them at a Town Hall type of meeting, though, he literally threw the script aside and got completely choked up. He told his people that he had devastating news of imminent layoffs, and that people he had known and worked with for years among those present would be affected. He began to cry from the stage and said that this was excruciating for him and that he had no choice in the matter. They were all deeply moved, and the woman said it made a huge difference to his people when the actual layoff notices came down. Had this leader planned to throw away the company script? Probably not. Had he planned to break down in front of all? Surely not. But he did not try to hide his personal reaction to something that so deeply affected everyone. She gave this as an example of how positively she and the others reacted to this demonstration of their leader’s vulnerability. And yet many, if not most leaders are afraid to show this because they consider it to be a weakness. And this has a huge, negative and powerful impact, because allowing ourselves to be vulnerable extends equally to letting our people know in a whole-hearted way how valuable and appreciated they are on a day- to-day basis. So are you secretly (or not so secretly) afraid to show your vulnerability and acknowledge your stakeholders – your team members, your boss, your customers, your suppliers, community members and others in a heartfelt and profound way? Do you worry that if you do let them know how much you value and appreciate them that your employees will ask you for a raise, that they will think you’re being phony, that they will assume you are soft and, heaven forbid, vulnerable? Well, maybe a very few of your people will think some of these things and … undoubtedly, a few creative others. But the vast majority will treasure your words and your heartfelt expression in ways that are both immeasurable and priceless! I know, because I have trained well over 50,000 people in Grateful Leadership and The Power of Acknowledgment. What stops you from profoundly acknowledging your people? Take a moment now… and think about what stops you from really opening your heart to your people. 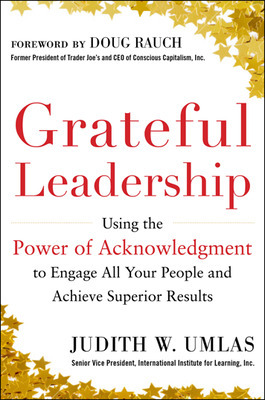 But let’s be clear on this: if you are to be a truly powerful and effective leader, you need to summon up your Courage to create a culture of appreciation around you… “How?” you may be wondering. It’s simple! In the well-known children’s story, The Wizard of Oz, The Cowardly Lion joins the main character Dorothy in her quest to see the Wizard who can help her return home to Kansas after a tornado blew her away. The lion wants to ask the Wizard for courage, being ashamed that, in his role as the King of the Beasts, he is not really brave. But even though it seems that he is very fearful, the Cowardly Lion displays great bravery along the way. For example, during the journey, he leaps across a chasm on the yellow brick road numerous times, each time with a companion on his back, and then leaps back to get the next one. Most of us remember the lion’s cowardice from the story, but what we don’t take into account is his bravery in the face of his fear. That is a major accomplishment and it is also what I am suggesting we can all do. Some “thought leaders” even say there is no courage without fear! So we can have this fear of letting our vulnerability show, and allow ourselves to be vulnerable anyway. Author Neale Donald Walsch puts it so well: “Life begins at the end of your comfort zone.” So being vulnerable is definitely outside the comfort zone of most leaders. So if vulnerability is an asset, and allowing ourselves to express our most heartfelt appreciation to our people is a demonstration of that, how do we learn to allow ourselves to be vulnerable? To thereby create inspired and inspiring leadership? And can this behavior really be learned? It can if you are willing to be the role model for expressing gratitude and appreciation, even in the face of non-agreement and in an area lacking models for this behavior. I think we can all agree that this capability truly demands courage. If you work in a company or a division or on a team in which there is no model for establishing or enhancing a culture of appreciation, YOU are the pioneer. YOU are the role model. 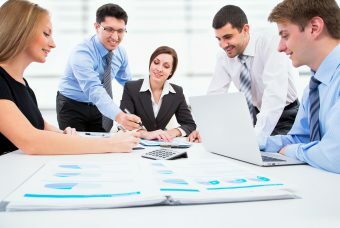 But once you start doing this, people will be wondering why your team members are so fired up, enthusiastic, so loyal, excited and committed – in effect, why they are totally engaged. Do You Act in Spite of Fear? Next, do you act in spite of vulnerability, fear, and/or embarrassment in expressing heartfelt praise? I remember one participant in a class that I led who, after the class was over, enthusiastically thanked me. “Before I took this course,” she said, “I would feel too embarrassed to acknowledge someone even when I thought they were amazing and that they were achieving great results. Now I realize I can be embarrassed and acknowledge them anyway!” You could see her glow as she communicated this. Do you acknowledge everyone you meet as valuable, important, unique and special in their own way? What I mean by this is, can people trust they can be fully themselves in your presence? The definition of lion-hearted is “exceptionally courageous and brave.” But in fact, it takes even more courage to be a Cowardly Lion and do it anyway! Either way, you AND your people are the winners. So going from Cowardly Lion to Lionhearted leader is really just how YOU perceive yourself. Either is okay, as long as you are acting with courage – with or without fear – in both cases. Have You Ever Left a Job Due to Lack of Appreciation? Wherever I use this survey in a course or a keynote, it’s usually well over 50% that did leave at least one job in their careers for this reason. And that is so fixable – just let people know how much you appreciate them, even if you’re scared to do it! So this is my ultimate advice: Be heartfelt. Be authentic. Be vulnerable. Be either a cowardly lion and do what you fear anyway, or be a lion-hearted leader, but have the courage to do what’s right. 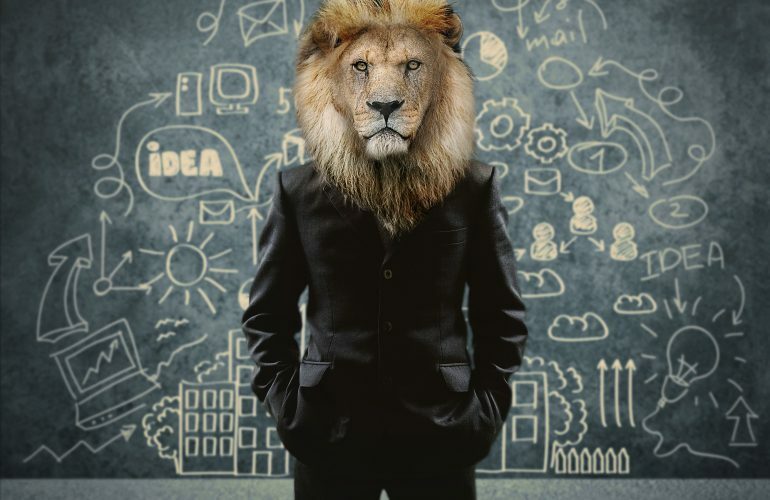 I, for one, don’t regret being a “cowardly lion,” which for me means summoning up the courage to get in front many thousands of people in all industries and geographies, so that I can deliver a message that I know makes a difference, in spite of my fear. Please visit www.GratefulLeadership.com and join our community to hear heart-warming stories of people just like us, who have not let their fear stop them. (If you would like the poster of the 5 C’s of Acknowledgment, write to me at judy.umlas@iil.com). 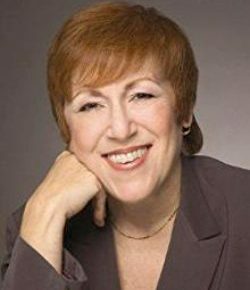 Judith W. Umlas is Sr. Vice President, author and trainer at International Institute for Learning, Inc. (IIL), a global corporate training company. She is the publisher of IIL Publishing, New York. Judith also delivers inspiring, motivational and transformational keynote addresses on her books, Grateful Leadership and The Power of Acknowledgment all over the world. Freelancer Or Employee? 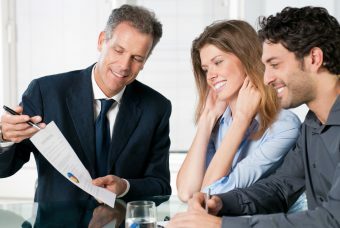 Are You In Tax Trouble? Judith W. Umlas is SVP at International Institute for Learning (IIL). She is publisher of IIL Publishing and the project management website allPM.com. She has trained more than 20000 professionals including project managers engineers executives and C-Level leaders. Umlas is the author of The Power of Acknowledgment and has written articles appearing in Working Woman the New York Times and the Chicago Tribune.